This opportunity doesn’t come along often in your career. I’m selling the IP and business of Atlas Insights (www.AtlasBI.com). I’ve already received a couple offers several months ago, but I wasn’t ready yet as I was just getting started. I love creating software and am beginning to design my next app and I think the opportunity to put the Atlas Insights business and IP into the right hands is now. That’s right, I’m selling all the IP associated and customer database with it as I’m looking for the right business/persons to take it to the next level. Do you have a business intelligence solution and no mobilebi option, now you do. Have an AI platform and need to distribute data out to thousands of people, now you do. Have a line of business application that needs to get data out to a lot of people, now you do. Atlas Insights supports the iOS, OSX, Android, Windows and Web platforms. You can’t rebuild this solution and beat your competitors quicker than acquiring this business. If you EVER wanted to jump into the mobile app space with the right idea, you’ve come to the right place. Please contact me here or on LinkedIn and grab it before someone else does. I just finished up and got my Amazon Echo skill for Atlas Insights certified. If you’re like me, when you are wondering around your home is when you think about a metric you wish you knew right now and you don’t want to have to take the time to find your phone or start your computer. Just ask Alexa! You can use your Amazon Echo to ask for any important economic metric you would like to know about. Try it. 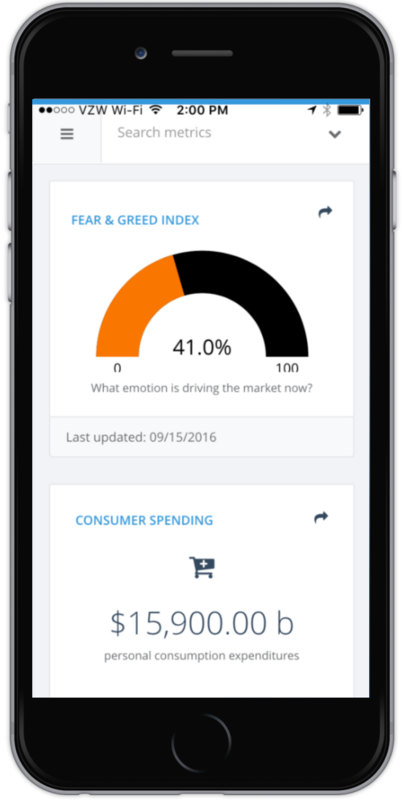 There is NO other app on iOS, OSX, Android or Windows that has the full coverage of the most important economic metrics you need to follow. Visit Atlas Insights to download for FREE. We really like the bold statement Apple has created with the New RED iPhone so much we just had to get one to see how AWESOME our app looks on it. We were right, it looks AWESOME! As many companies are finding out, their business data looks BEST on Atlas Insights when using Apple phones, tablets or desktop products. Go visit the Apple Store today and download the FREE app, login and change your business perspective immediately into the positive. Ever wonder why all the big #businessintelligence software providers have customer training? Seriously!? Why do their partners and the companies themselves all have these $2,000 to $5,000 week long training course? Get certified in using our software after spending 10’s if not 100’s of thousands of dollars on the software. If your software is so good, can’t we just download and use it right away without a ton of time invested in trying to figure it out? Software should be easy to use, not hard. Give Atlas Insights a try and find out what easy should be.